The other day, I explained why we should remain skeptical of the congressional investigations into the Russian hack. Most importantly, I questioned Richard Burr’s seriousness. The investigation should be done by the House and/or Senate Intelligence Committee, and both Chairs of those committees have had Trump appointments in the last year. That said, this Maine Public Radio interview with Susan Collins may provide reason for hope (see after 10 minutes and 39 minutes). In it, she reiterated promises — made in the agreement on the inquiry — that the committee would do open hearings and release a public report. I will encourage that there’ll be some public hearings as well as the closed hearings that we’re doing now and that we issue a report. She also noted that she and others intend to call Mike Flynn to testify (though she didn’t say whether the interview would be open or not). Note, National Security Advisors cannot be subpoenaed (which is one basis why Devin Nunes said they couldn’t call Flynn). I am going to request, many members are, that we call Steve Flynn–Mike Flynn, the former National Security Advisor to testify before us. In addition, after 30 minutes, in response to a caller insisting that the inquiry be public, Collins noted that Republicans have just a one vote majority on the committee (though she didn’t point out that she could be the swing voter). She was asked if she would subpoena Trump’s tax returns, and on that she said it would depend on Burr and Mark Warner. We shall see whether Warner has the chops to force that issue. 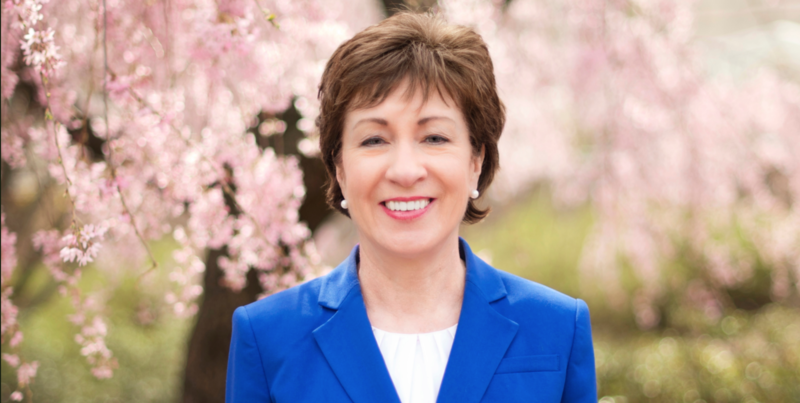 On both torture and drone memos, Collins has been willing to serve as a swing voter on SSCI before. If she does so here, it could make a difference. Well! Is she that dumb to announce it, or is she playing a game with the CIA? I think she just made herself a Yuge target. Bigly! As long as she stays out of Kuala Lumpur airports, what could happen? Fifn’t you receive the memo? The CIA are Good Guys-saving democracy from the evil Russians and ready to defend it against the electorate if necessary. And that is great. The Intelligence Agencies are our friends. They have always been our friends. Russia and East Asia are our enemies-they have always been our enemies. The people in the CIA just want to get back to being ordinary Americans, with three part time jobs and foreclsure looming. They don’t enjoy listening into your conversations, reading your emails and devouring your taxes, but they have to ,in order to defesat the Russians. The CIA just hates countries that intervene in other countries’ elections. It is so wrong! They would never think, twice, about doing so. All I know is that when the Intell/Military get going on removing a country’s leader they replace it with an Intell/Military Junta leader. Very, very bad for Democracy. (grins) Love your response. It’s perfect for the mind game play on our news. Too much equivocation in her statements for me to be able to trust her. Sounds like she’s maybe trying to play at being a moderate so she doesn’t get any pitchforks back home. This woman is a fraud…a complete fraud! Not only does she talk a moderate game, but the conventional wisdom parrots her nonsense without even bothering to look at her voting record. When all the hot air is exhausted and everybody is looking the other way she always votes with old reactionary white guys. She could have put the kibosh on DeVos in Committee, but she voted “aye” to pass the nomination forward. She justifies this by saying that “it’s the democratic thing to do to let all 100 senators vote on the DeVos nomination.” She knows that DeVos will pass the Senate without her vote, so she votes “nay” in the full Senate…DeVos gets confirmed and Collins is a “Hero of the People” for casting a futile vote. Same-old, same-old. What is this alleged “the Russian hack” that is referred to? Are you referring to the emails of Podesda and Ms. Clinton, and insiders of the DNC which were revealed on WikiLeaks? There hasn’t been one ounce of credible evidence that the information revealed was “hacked”. In fact there is a preponderance of testimony that the information was distributed via an inside source, thus no hack but instead more of a whistleblower. In the bubble of those who ascribe to the conspiracy of a “Russian hack” it has become the liturgy to espouse this as a given. However one could consider alternatives. In fact the very nature of the corruption of the DNC and the presidential campaign is more important than who revealed the corruption. The story that the information revealed was somehow the doing of the evil Russians, at the behest of Voldemort, or Lord Sauron, is not plausible. Consider the nature of Trump, consider the nature of Clinton and the DNC. Read the emails. They reveal that the DNC and Clinton wanted to run against Trump, in fact they worked to promote Trump, as they considered him to be the weakest of the flock running against Clinton. But what has been revealed is that the party of the Democrats, the old boys of the South, now the new boys of the Coasts and equal to the Republicans in their subservience and service to the global financial and warmongering elite profiteers are nothing less than corrupt profiteers and soulless in the pursuit of power. This does not absolve the fact that we now have a regime which is no less corrupt or equally subservient to the profit motive than a Clinton administration would have been. But as a result of our corrupted political system we have now the results of a frustrated populace given the choice of the perceived lesser of two evils. But back to the Russian hacking alleged. What more is implicated by such? Is it somehow that the voting machines were tampered with electronically? That has not been substantiated nor actually alleged. It is only an extension of the unsubstantiated allegation of Russian hacking of unknown things and of unknown sources revealing unknown things. The only thing presently know to be fact are the documents that WikiLeaks provided from an anonymous source. The email documents speak for themselves. The corruption isn’t some foreign source, it’s us, here. It is the present system of monetized democracy, itself a mockery of democracy, that is the source of our nation’s problems. Timelines reveal otherwise. Funny where each of the timelines lead as well. Timing of the latest leaks varify this point. Add in the WH calling the FBI to drop the investigations and the timelines become vital. This is an information war. 1. How did the “source” acquire the leaked content? 2. Please quote the best of the “preponderance of testimony”–with links to its source–that support your claims. The preponderance of evidence is just this, that what has been stated as fact by Assange and Murray who are responsible for placing the emails in the public domain via WikiLeaks. While on the accusers side there is nothing, only innuendo and a “trust us” attitude. The answer of your #3 is not presently something that I’m willing to start a huge discussion on, the question requires quite a bit of time and attention to answer. Possibly I can’t answer it. However it is one that we all should be entertaining and considering what solutions there may be. Your initial comment matched the narrow template wingnuts use here, pose as an outraged liberal/progressive. Was a “bridge too far” for you, along with reading your own links. You confirm you hadn’t read your links when you wait until your third link to introduce Ambassador Craig Murray. He’s the author of your first link. In response to my third question, you’re lost as to how both parties should move forward. Among all the things you don’t understand, political parties and the media are controlled by elites, who don’t always agree. They compete with each other to see who can wring more welfare out of government/taxpayers. “Oligarchy Within Our Democracy” is as true today as it was in 2013. “The primary impact of this leverage in the hands of the minority is on economic issues. The oligarchy is just as divided as the rest of the population on social issues, like immigration, LGBT rights, women’s issues and similar non-financial matters. It turns out that, for example, some of the oligarchs have family or friends or are themselves LGBT. Their interests in wars and other kinds of issues are also divided. Because of that, democracy could theoretically work on those issues. It’s only those economic issues where the rich are on the same team, and they always win those battles. Putin could not have written your comment any better. Thank you, I take that as a compliment. However the point here is not to lose focus. Perhaps this article lends a little to understanding those considering and espousing views unpopular with many. I’ve only recently restarted following Marcy. Is it possible she also believes that Putin/Russia had anything to do with the disaster that was Clinton. If she too has gone over to the dark side…. What actions are you taking to advance progressive values?